Starting a business requires a considerable amount of capital to get your feet off the ground. Unfortunately, acquiring this money is not always easy, and it can come with a lot of risks. There is one solution, however, which gives you the ability to start up a business without worrying about paying back your business loan and the huge interest rates that come with it. For those who are unaware, crowdfunding involves taking small amounts of money from funders – this could be thousands, if not millions of people. You do this via the Internet, and it is particularly beneficial for business owners that have been turned away from High Street banks. They now have the opportunity to appeal directly to small investors. 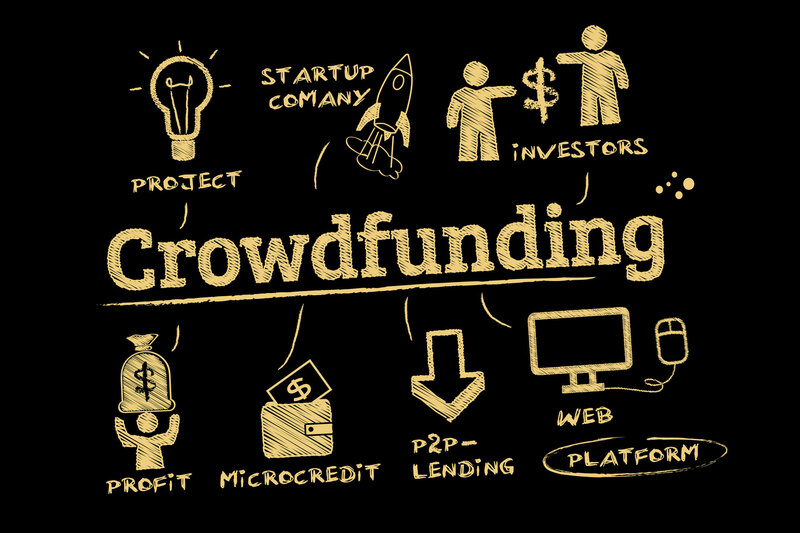 Crowdfunding is a relatively new concept, and so a lot of people struggle to understand how it works in practice. If you successfully crowdfund your business, you still need to then form it in the typical manner, which you can do through www.yourcompanyformations.co.uk. But first, you must accumulate the funds. While crowdfunding can happen in a number of ways, we are going to take a look at the general process. This involves online platforms being used whereby donations and investments are made, after which they are coordinated and fundraising is administered. These are the three different types of crowdfunding. Equity Crowdfunding: Firstly, we have equity crowdfunding, which is when people invest in your business in exchange for equity. Therefore, for their money they will receive a share in a project, venture, or your business as a whole. Debt Crowdfunding: This is also known as lend-to-save or peer-to-peer lending, and thus the investors will get their money back with interest. Head to https://justcoded.com/blog/what-is-debt-based-crowdfunding/ for more information. This gives business owners the ability to lend without having to go down the traditional route of using a bank. Donation Crowdfunding: This is the easiest type of crowdfunding to understand, as people will invest simply because they believe in your business. This tends to only happen for the likes of charities, green businesses, and such like. Although, if someone loves your idea, they may want to donate. Pick Your Platform Wisely: You need to pick the ideal platform to raise funds on. Find a site that has a good level of exposure, and check out some of the projects they have helped to fund thus far. Supporter Engagement: Make sure you adequately engage your first level network of family, friends, and supporters. Pitch Your Story Well: Remember you are vying for the attention of investors. You need to impress them and encourage them to invest in your business. You need to market your company well. Tell a great story and package your business effectively. A video is a good way of demonstrating what you have to offer. Focus on What is in it for the Investor: You are going to have a greater chance of raising funds if you focus on what is in it for your investors or backers, as opposed to focusing on the money you need. Ask yourself, would I go through the trouble of investing in this? Planned Marketing: Finally, planned marketing and outreach is critical. Irrespective of the platform you use, you will have more success if you put in a lot of hours when marketing your idea.